Admittedly, I've had these for months and I now only have the time to write about this product :x Well, it's never too late because which girl doesn't wish for naturally long and thick eyelashes? This product will help you achieve just that! Skinsoul Natural Volume Attack Mascara is not your regular mascara. As you might know, some mascaras tend to hurt your lashes when applied frequently as it makes your lashes brittle and weak. However, this mascara actually nourishes your lashes as you use it! Not only that, Skinsoul's Lash It Out! Natural Volume Attack Mascara in #Black actually helps your lashes to grow and be curled throughout the day while adding thickness and volume at the same time! 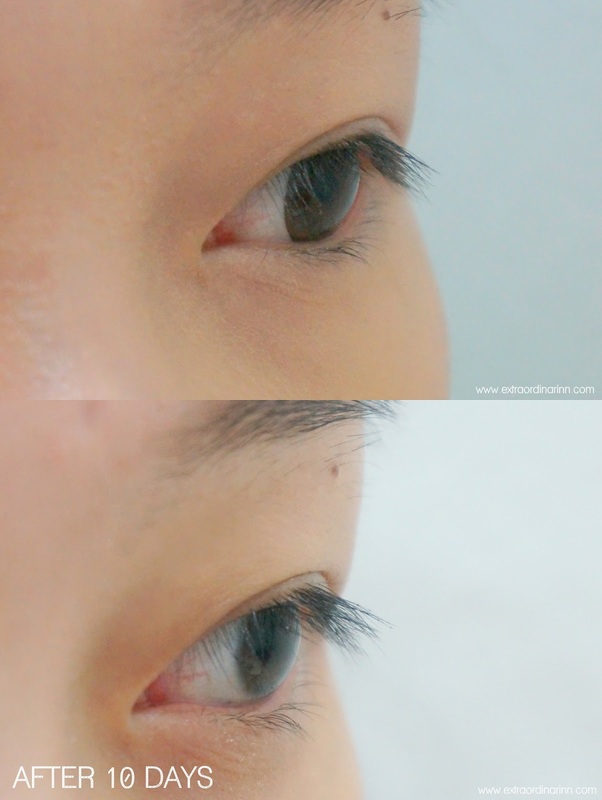 This is all made possible thanks to the exclusive key ingredient in this mascara - Mulberry Root Extract. This natural ingredient which is derived from the mulberry root bark has been used in Traditional Chinese Medicine (TCM) for many cures and has recently a new benefit has been found - it promotes metabolism and recovers hair growth cycle! This is due to its high level of vitamin C and antioxidant properties which makes it safe to use, even for delicate lashes. Another main ingredient is Lash Curling Complex which is a synergistic blend that works deeply into the roots of the eyelashes to prolong curling effect even after use. All Skinsoul products are paraben and prostaglandin free. The tube is tiny compared to other mascaras out there, but it does pack a punch. The applicator wand is a thicker comb wand with quite far-apart bristles. The wand is made of rubber which picks up products easily. I do find that while the wand picks up product nicely, it doesn't do it evenly. The mascara also seems less moist compared to other formulas. However, it promises to coat your lashes perfectly with each application to leave it looking lengthened, defined and beautiful all day. I've mentioned this many times. I am quite picky about mascaras as I have stubborn and stiff lashes so a good way to tell if a mascara is really good (in my book), is to see how well it holds a curl. However, I was quite disappointed because the Skinsoul mascara did not keep its promise to hold a curl all day long. It is also sticky and dries quite slowly. I would've been very disappointed with this product if not for the fact that continued use helped to grow my lashes longer and slightly thicker. Actually, the mascara looks quite natural so it's great for everyday use as it's not too dramatic. I did not expect it to work at all but after a short 10 days only, though the results is not drastic. The recommended use is for 2 - 8 weeks and you should see results in 4 - 8 weeks. 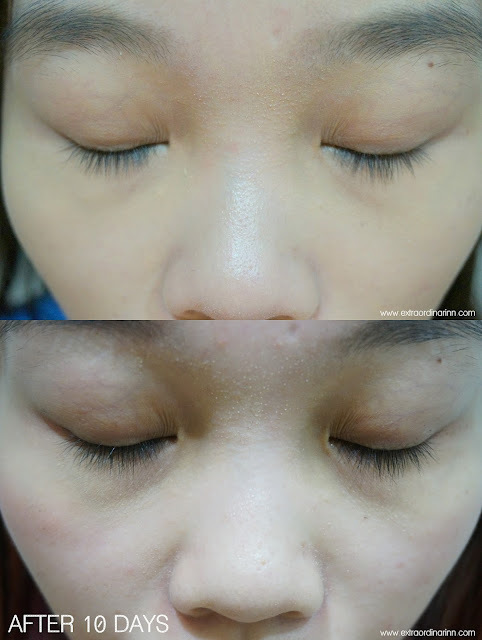 Needless to say, after seeing these photos, I continued using the product and my lashes are now longer and thicker than usual. Phew! What it lacks in the mascara section, it did make up for it in the results. Just remember to always remove the mascara every night as it is a cosmetic product after all. Disclaimer: The product was sent to me for review purposes. However, the review is based on my unbiased personal thoughts, experiences and preference after trying out the product. Results may vary according to individual.